Set in 1792, The Silversmith's Wife takes place in London's Berkeley Square and is Sophia Tobin's first novel. Pierre Renard is an ambitious silversmith found by the night watchman with his throat slashed and his belongings stolen, much to the shock of his wife Mary. 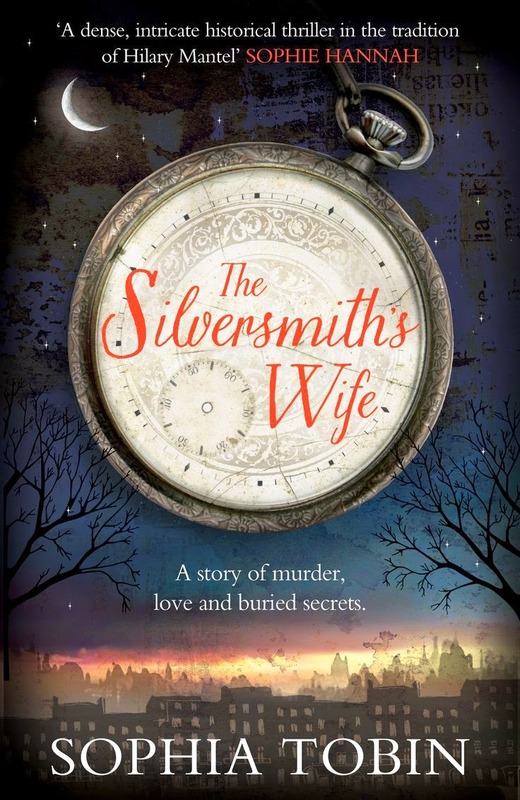 I was immediately drawn to The Silversmith's Wife with its gorgeous cover and the hope of finding out more about the night watchmen of London during this era. When I read At Day's Close - A History of Nighttime by A. Roger Ekirch I was enthralled by the 'night watch' whose job it was to patrol the streets, apprehend criminals or thieves, watch for signs of fire and call out the time. The night watchman in The Silversmith's Wife was a dark and intriguing character, but I was just begging him to call out the time or an 'All's Well' but sadly he never did. However, what I did find was a story centred around Mary and a few central characters in what I would call a character based (rather than action based) whodunnit. It was interesting (and frustrating) to read how Mrs Renard was treated - both as a wife and a widow - and the several characters who had motive to kill the pompous Pierre Renard. The Silversmith's Wife captured the life and times of London in the 1790s very well although I would have loved more detail on the art of making and producing the pieces of silver described in the novel. Readers are not left hanging in this whodunnit with a timely confession at the end that I didn't see coming. An enjoyable read.